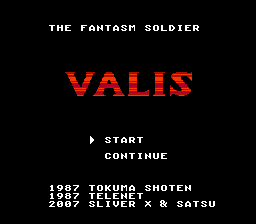 At long last, one of the most despised entries in the Valis series has been translated into full english glory. There are actually two releases: A standard translation that simply englishfies the game, and an enhanced version that makes the game, well, playable. Masochists can check out the vanilla patch here. Those who value their sanity can check out the assembly 4@x0r3d version here. 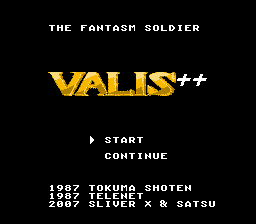 Wow, I've never played Valis before but the ++ version seems fun. Somebody emailed me and let me know the half damage routine in Valis++ was broken; seems I overwrite the state toggle it uses with a routine related to the exit arrows. I'll update the entry on RH.net soon as well. You forgot the link, here.